NANIIII RBUH I F ID SKE EIEIS SHNROSIZNAHEMEMIT(NRGNRBUHHH THEE ELXIRESS PROEBDUCTIONNRATES SBRUHHH HOWWW COEMYALL AINT TLAKIGMNABIU THATS BRUH THER CAPPTIROLAI ARE R FIEN BUTBRUH THE PROCUDRED ARE APPALUIDUJGNRBUHH WHYYYY BRUHHH EHEH WHYYYYY BRUHHHHHHHH ITS IN THE THOSUAND BRUHH STOP THIS BS AND FIX XTHATHEHE PUT IT 8N DAYUM TNES THOSUSNA AT LEATA WG DYAMM IT BRUH WHYY UGHHHH AND AALSO I FID OUT THATD ERR YOU ARE RANKED BY TROPHIES AT LEATS 8N THE BUILDER BASE BRO EHEHEHE EYAH BRUH THIS IS ER WOW YK EHEHEHEHHE BRUBALSO HM 5ER IDE SOF E RRNOT RUSHING AND. RUORGA8NGNVEYRONEISJSNRIEEHWHEURFKEHWUS8EYESYEOWYWEHEYEYSHSWHEBSBSBBURRHEYWYWUWYWJWONLGI. This game is amazing, addictive, and most importantly well thought out and supported. 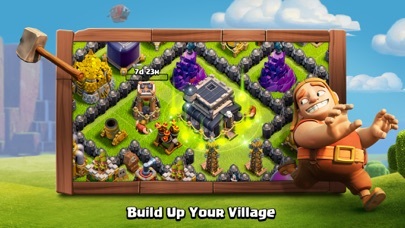 That has always been my favorite part of Clash of Clans is that the game has such an awesome company with an even more awesome staff that keeps it going and on top of the App Store for years upon years. Not many apps have achieved this feat. With the positive points aside, I do have some issues with the game that aren’t worth taking a star away, but are still worth noting. 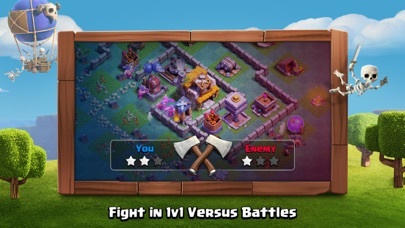 Number one is that ability to challenge your clan mates to attack your base is a long awaited feature that I have both loved and utilized from day one. 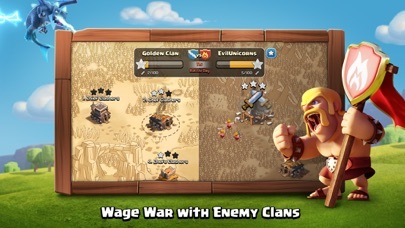 The only problem is that if you are let’s say amidst war preparation, you challenge your clan mates to attack your base and realize during the attack that something needs to be modified. Naturally, you want them to attack it again to see if the change fixed the issue. Sadly, you have to wait a ridiculous amount of time till you can use that base in a friendly challenge! I feel this waiting period is unnecessary. Problem number two is that I feel the items in the Trader Shop are a tad too expensive. I know that for what they are worth, you are saving gems that would have been spent otherwise, but one reason that I hear a lot when I ask my friends why they don’t play CoC anymore is the waiting. Waiting is part of the game and I appreciate it because it makes the game last longer. There are however, circumstances where you need to speed the process of upgrades and training sometimes with gems. 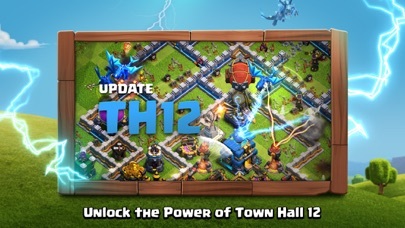 I feel the ratio of gems per hour is reasonable, but once you get to TH8 and above, the amount of waiting for upgrades can get tiring. The Trader Shop only has three items available to purchase. Why not throw some books and hammers in there a little more often and maybe lower their price a bit. If it’s low enough that more people are willing to buy gems via In-App Purchases, but still high enough to make a profit as a company, then you have yourself some solid margins. Thank you Supercell for all that you do, I can’t wait for the next update and I have thoroughly enjoyed playing your games for the past six years! Been playing this game for a few years and it keeps getting better and better. Thank you supercell for such a versatile and fresh game. Keep up the good work!!! When you train troops of one kind they halt the whole training process. 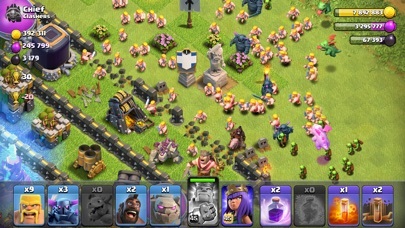 One troop can only be produced one at a time even though there are multiple barracks. This is very irritating and unrealistic. I would be fine if each barrack produced one troop all at the same time. But when there’s 4 barracks and an army of hundreds of troops that have to wait to be trained it’s aggravating to have to wait. 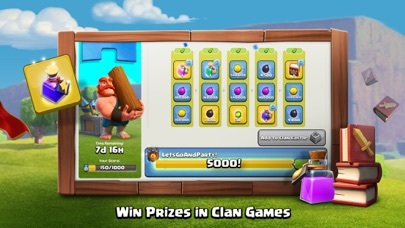 I’m not sure if it’s just to encourage the use of special boosts and gems but either way it’s irritating. My last review gave them one star when we discovered warships tank recharge was going to take 413 Days. Well they fixed that problem fast but we are still testing for the next bug. Let’s hope there are no more.